With thanks to Warner Bros. Pictures and Live Nation, you could be one of the first in Ireland to witness the critical success everyone is talking about, A Star Is Born, starring Bradley Cooper and Lady Gaga. A STAR IS BORN is the movie everyone is talking about and it’s opening in Ireland on October 3rd. Warner Bros. Pictures, Live Nation and GCN have teamed up to give you the chance to experience it first at the Irish Premiere Screening on September 28th. 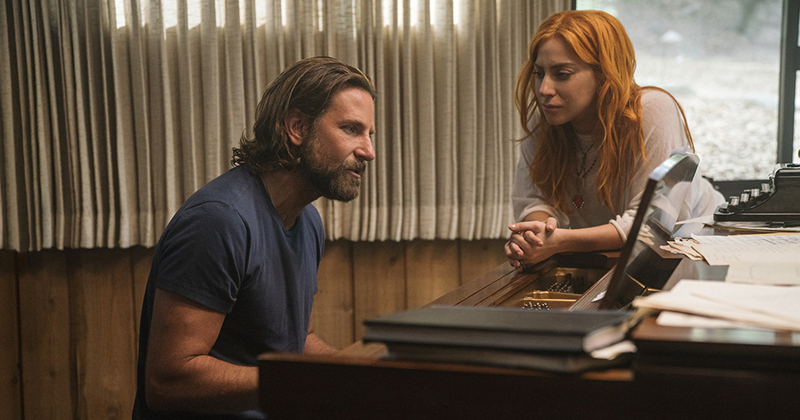 A phenomenal critical success, in A Star Is Born, Bradley Cooper and Lady Gaga fuse their considerable talents to depict the raw and passionate tale of Jack and Ally, two artistic souls coming together, on stage and in life. Theirs is a complex journey through the beauty and the heartbreak of a relationship struggling to survive. In addition to playing Ally, Gaga—who earned an Oscar nod for the song “Til It Happens to You” from the film “The Hunting Ground”— performs original songs in the film with Cooper, which they wrote with a handful of artists, including Lukas Nelson, Jason Isbell and Mark Ronson. The music is original and all vocals for the movie were recorded live during filming. To be in with a chance of winning tickets to the Irish Premiere of A Star Is Born, just answer the following question. This competition has now closed. See the latest competitions here. 18 September, 2018 . Written by Katie Donohoe.